When it comes to online searching, there is no shortage of users looking for healthcare services. In fact, Google last reported that 1 in 20 searches made in their search engine is related to health. We know that as healthcare providers, your goal is to grow your patient volume and get people the healthcare they need. So, how can you build on this momentum in health-related searches to attract new patients? Google AdWords, specifically in the Search Network*, is one of the first things you would hear our team recommend to achieve this goal. Search Network marketing in AdWords has continued to grow and prove itself as a method that helps healthcare providers reach more searchers through text ads and extremely specific targeting options. Let’s talk about what it is and how it works. *The Search Network in Google AdWords simply refers to the group of search-related sites where an advertiser’s ad can appear. In this case, we are talking about the ads that show up in Google Search, Google Maps and Google My Business. You are likely to have seen these ads most frequently when you make a search in Google and are given a search results pages that contains 2-3 ads across the top. Example to the right. These ads only appear when a user fits the criteria that an advertiser has previously identified. What are some of the criteria you have control over as an advertiser? When using Google AdWords, you have access to real-time data to see how searchers are looking for what you offer and what they are typing in to find you. Identifying these keywords and targeting them can put you directly in the path of these searchers. Whether you are targeting something broad like “heart health” or something specific like “minimally invasive heart surgery”, you can choose the exact words and topics you want to show up for based on your needs. Advertising in the Search Network gives you the power to target any location you want. Whether you want to target a radius around your office, a city, a county, a zip code, a state or the country, you get to choose exactly where your ads will show. This is an amazing feature as it allows you to control your visibility and limit it to only the areas you know your searchers and prospective patients will be in. Another benefit of advertising in the Search Network is the power of influencing which devices you show up on. Maybe you are an Urgent Care and have more reactive and immediate searchers looking for an immediate solution from their phone. There are options that fit this need, such as a call-only campaign where you can give them a speedy way to get in touch with you. Whatever your need and offering, there are device specific options for you in Google AdWords. When you advertise through this channel, you have the ability to show a user the exact message you want them to see. You can take relevant service, facility, physician, accolade and contact information you want to highlight and put it together to craft a personalized, informative ad. You get to pick what message you deliver to your future patients. If you want to highlight your state-of-the-art facility, you can. If you want to highlight the credentials of a certain physician, you can do that too. 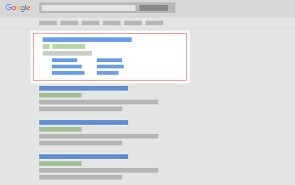 In Google AdWords, you can take the content you really want to highlight and get it in front of searchers. Simply put, advertising through Google AdWords Search Network gives you an incredible level of control when it comes to your marketing, messaging and targeting. It gives you the ability to meet your future patients where they are in their search journey and get them the information they are looking for in that exact moment. Full Media specializes in helping healthcare providers develop their online strategy to reach new patients, keep on the cutting edge and improve online patient experience. Our team would love to talk to you about how we can help build your patient base with Google AdWords advertising. Learn more about Full Media’s experience in this area.